All things Sugar – This is something that your dentist may have warned you as a toddler. 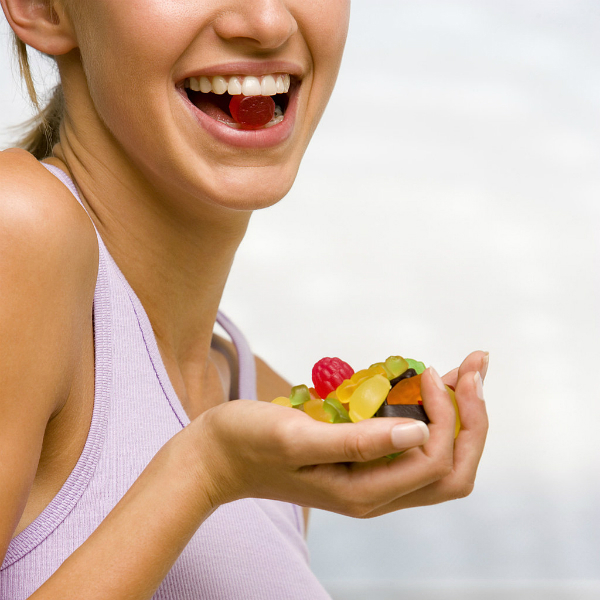 Sugar tends to eat away through the enamel of the teeth very easily. So, it is imperative that sugar at its best should not be brought into long contacts with your pearly white dental structures. At the same time, sugar is the breeding ground for harmful bacteria in the mouth which causes bad odor rotting of teeth, gum problems and associated issues. The solution lies in avoiding no nonsense sugar products like hard sugar candies, chewy candies, toffees, candy apples and others as such. Citrus fruits – Please focus on the word ‘acid’ when thinking of citric acid content in all citrus products of nature. Oranges and lemons are recognized for working wonders for your health, but when it comes to teeth, the effects can be traumatic. In very simple words, it erodes the enamel of your teeth, which in fact is the reason why prolonged contact of these fruits in their solid or juiced form makes your teeth sensitive. Nuts and almonds– Though nuts and almonds are great as healthy snack that you often find fun to munch on, but it can act havoc on your oral health. Since these are very hard when you bit those down, it leads to the creations of a thin wedge which widens with passing time. So for the rich health benefits do have nuts and almonds, but do not pop in whenever you feel like. Carbonated beverages – Carbonated beverages neither quench thirst nor do they do anything positive for your teeth. Being rich in sugar content, it is practically impossible to keep its effect from showing up on your enamel in due course of time. From yellowing of your teeth to cavities, plaque and tartar, there is very little benefit that you can actually obtain from brushing twice a day if you drink these beverages twice a day. Tea / Coffee – Tea and coffee are less harmful of the lot. They are primarily known for staining of teeth than causing any life threatening harm to it. All that you will have to ensure is to squish water in your mouth immediately after indulging in a cup and you will manage to keep away the stains for a while.